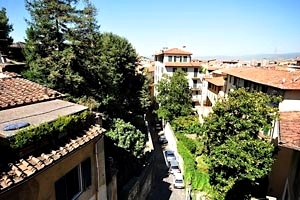 Florenceholidays.com, an agency specialised in renting apartments and villas for holidays in Florence, presents a selection of apartments in the historical centre of Florence (cheap apartments close to the most important touristic attractions, luxury apartments overlooking the city...). The Ponte Vecchio, the oldest bridge in Florence, connects the historical centre on the right bank of the Arno River with the Oltrarno district. Cosimo I ordered the Vasari corridor to be built in 1565. At present, the path passing over the shops on the Ponte Vecchio is a famous picture gallery, but in the past it allowed the Medicis to go from their residence in Palazzo Pitti to Palazzo Vecchio without having to show on public streets and squares. 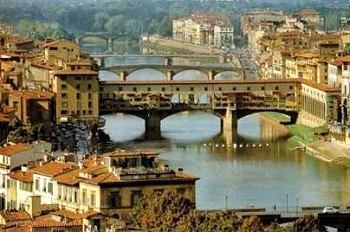 Renting an apartment close to the Ponte Vecchio is a convenient and budget solution for visiting Florence. 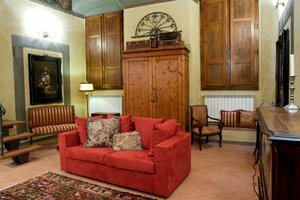 Rent one of the apartments close to the Ponte Vecchio we have selected for you.